One of my co-workers asked if I would donate a baked item for her daughter’s basketball team bake sale. 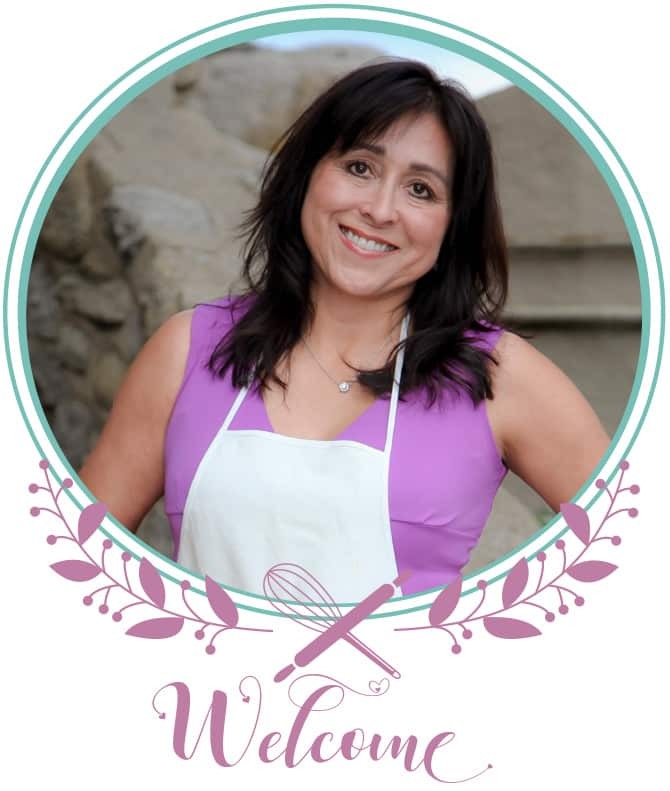 Who can resist a fundraiser for kids? I was going to bake some cake pops since that has been on my “to try” list, but I didn’t allow enough time to form the balls, freeze them, and then decorate, so I made mini cupcakes instead! 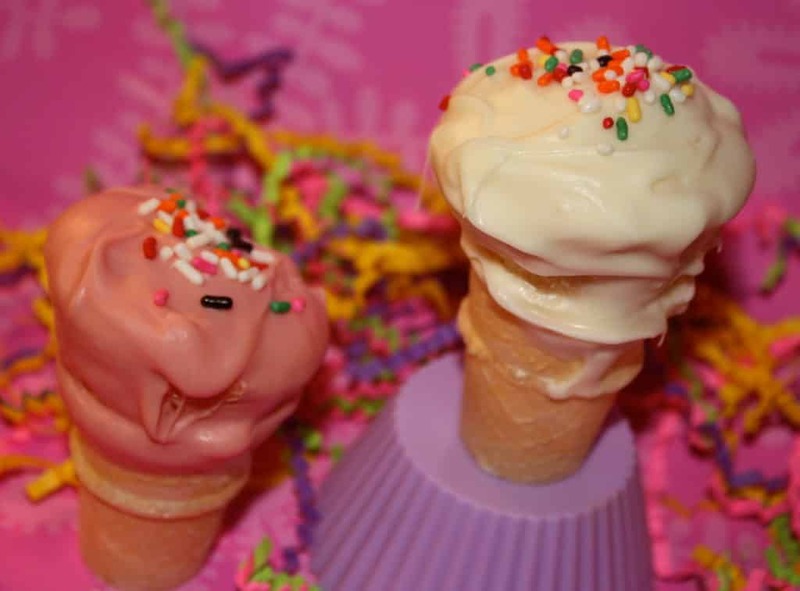 I found pint sized ice cream cones at my grocery store, dipped the cones and cupcakes in melted chocolate and tada, CUTENESS!! 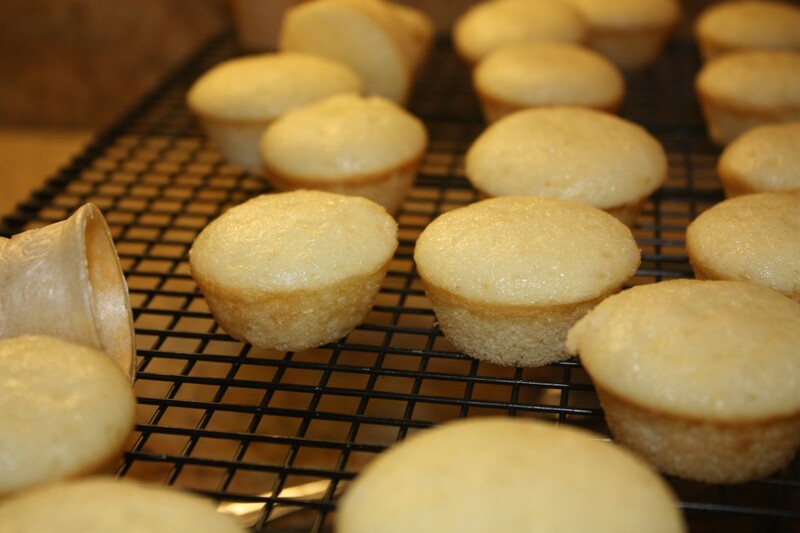 Make cupcakes according to the boxed directions, and let cool. The denser the cake, the better. Super moist cake will fall apart while dipping in the chocolate. Follow Wilton’s microwave melting instructions. 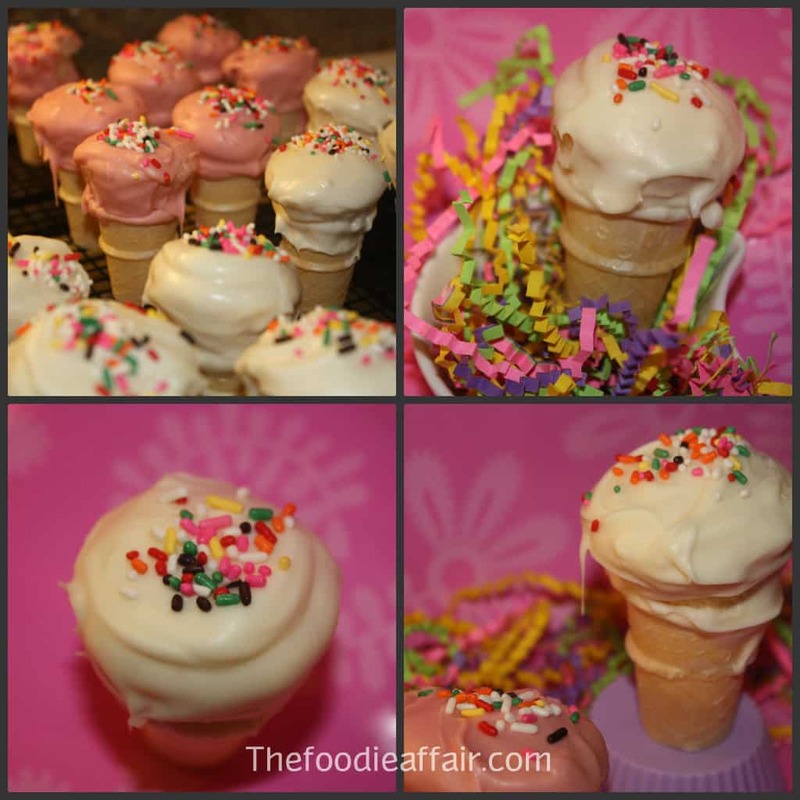 Dip your cones, and then dip the mini cupcakes and assemble. 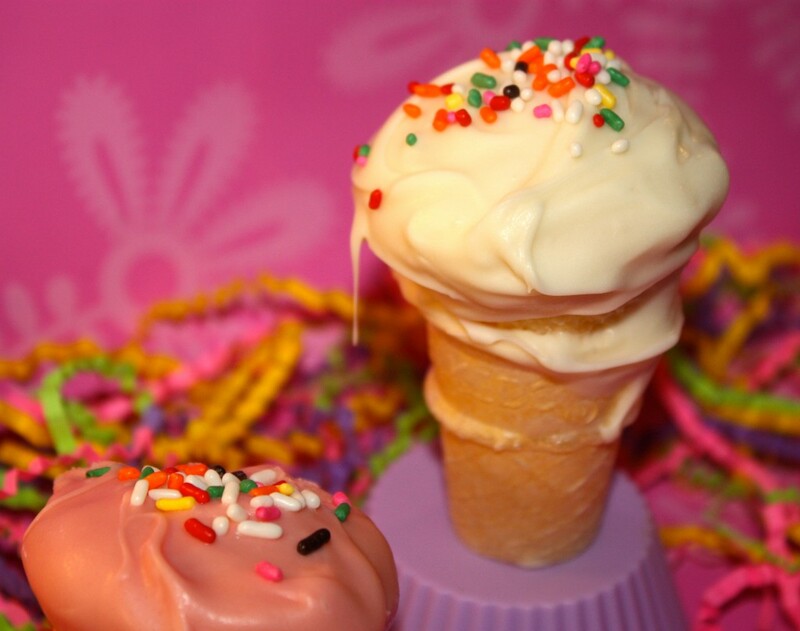 Decorate right away so the sprinkles stick to the ice cream. 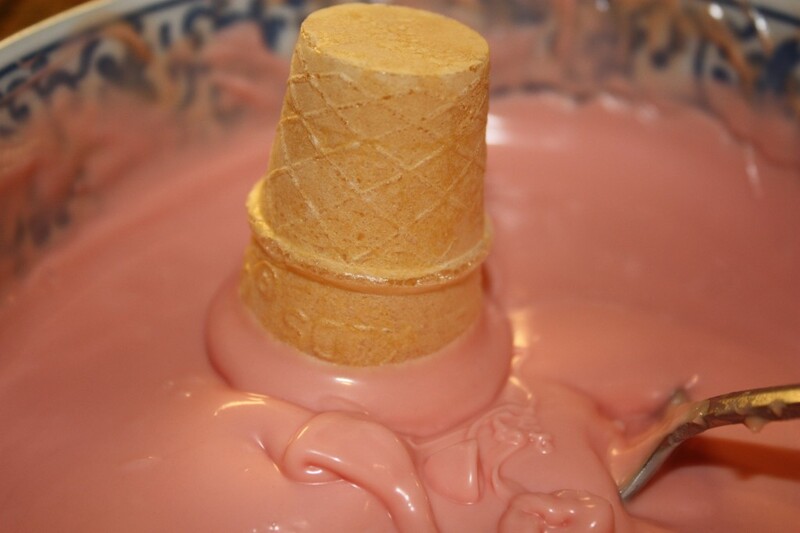 Your cones will harden in about 15 minutes. You can carefully transfer to the refrigerator to speed up the process, but you really need steady hands, and something to prop the cupcakes in. 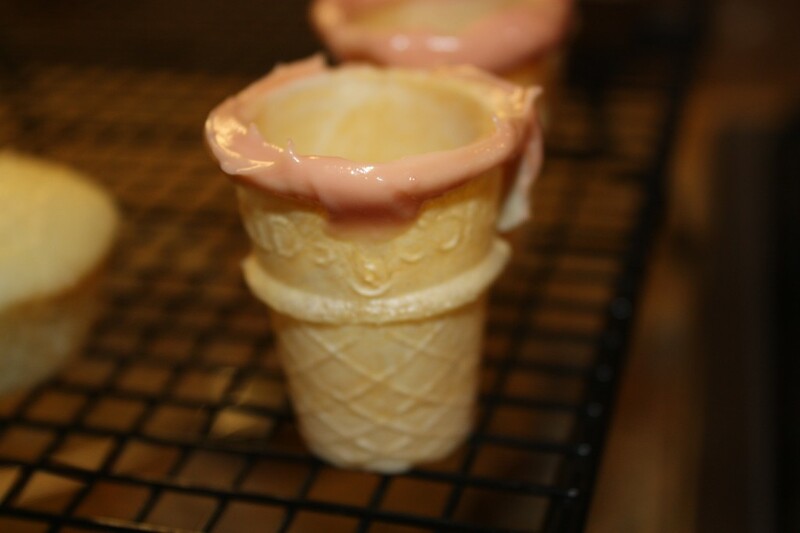 I had a few ice cream cones plop to the floor. Wouldn’t these be super cute for a first birthday party? A bit of sweetness for those little tummies! What do you think of my very first collage? Check out iPiccy.com to make your own. Thanks to Jen at The Three Little Piglets for sharing the collage info! I’m going to have lots of fun with my pictures now! Total cuteness! I bet the kids loved them! The collage site is so simple to follow, yay! I like simple!! They are totally pinky and pretty! Thanks, Angie! I need to spend some time on your blog. You have some beautiful photos!! I want to live in your neighborhood or even better I want to be your next door neighbor. You always take the extra time to make something wonderful. I would love to treat you to some of my creations! I’ve seen ideas similar to this before and have always wanted to try it. You made it look really easy and your execution is adorable! Loving the pink candy melts. 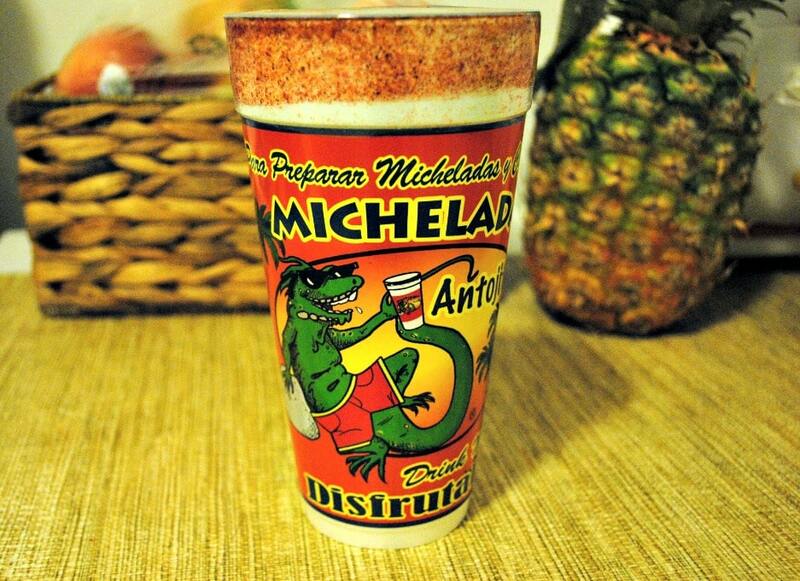 I bet these sold out with a quickness! Thanks! They’re fun to make! Oh yes, I love all that pink chocolate!!! Very cute and creative! Cuteness is an understatement. I’m sure that they were extremely popular at the bake sale.